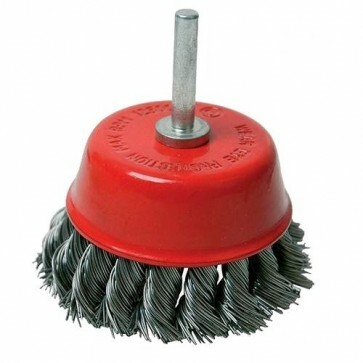 Brand New Twist-Knot Cup Brush For rust, paint, contaminant removal. Also for descaling, deburring and preparation of welding seams. 6mm shank for use with power drills. Max speed 12,500rpm.